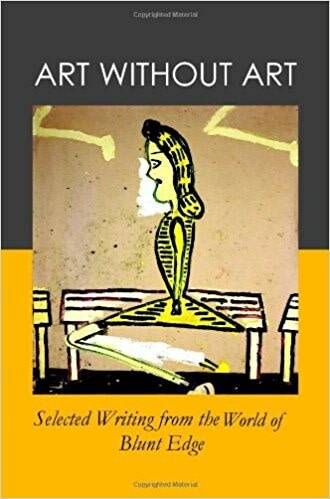 Published in 2010 by Ziggurat Books International, Art Without Art: Selected Writing from the World of Blunt Edge was edited with a foreword by the artist and film director Marcus Reichert and includes an introduction by the artist Roy Oxlade. The book includes a selection of writings by contributors from the panflet edited by Roy Oxlade, Blunt Edge. Also included are 8 drawings by the artist Rose Wylie in black and white.